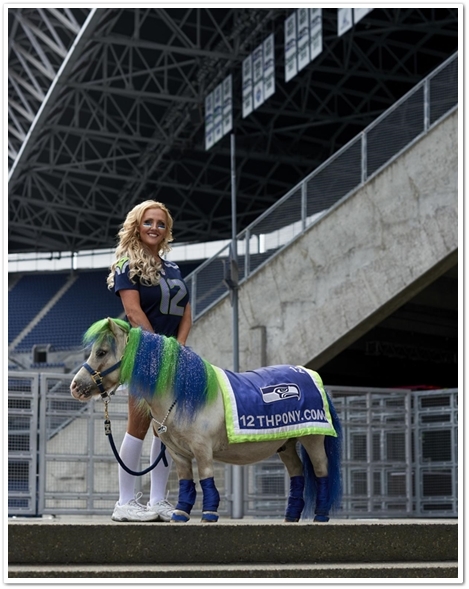 ​​Sarah Kessler is the owner, trainer and handler of the amazing therapy, charity and little tiny Seahawks celebrity pony "Wilson The 12th Pony". Sarah and Wilson support multiple causes and charities, including children, adults and seniors with special needs, military soldiers, their families and veterans. 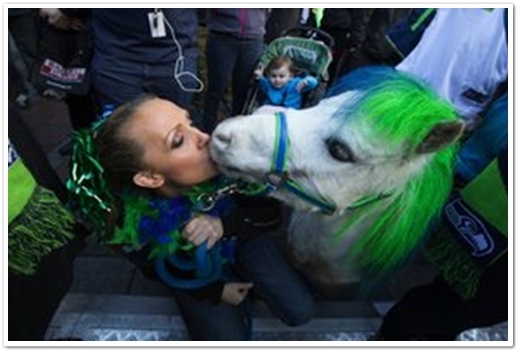 Sarah and Wilson attend all Seahawks home games and events, and make over 150 appearances per year at multiple public and private fundraisers, charity events, schools, assisted living centers and hospitals. Sarah has had a life-long obsession with all animals, and especially with horses! Since she was a little girl she has ridden horses, taken riding lessons, and rescued any animal she could find in need of help. By 9 years old she was retraining "problem" ponies for their owners. At 14 years old, she was a member of the United States Pony Club, taught riding lessons to children and also provided equine therapy to disabled and special needs children on a pony she saved up for and purchased with her own hard-earned money. She never missed an opportunity to volunteer wherever help was needed or where she was able to work with horses and people. 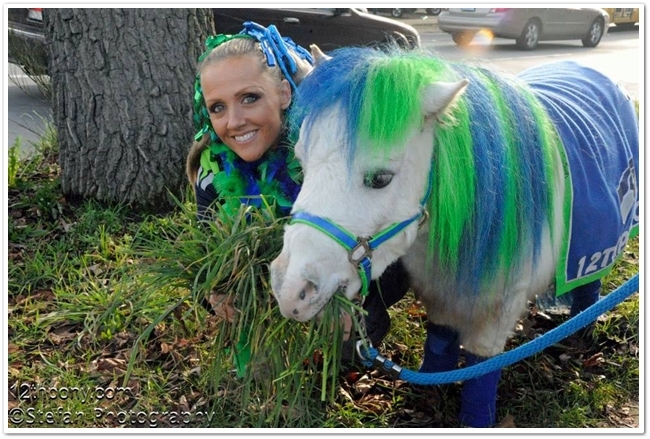 On top of owning the incredible little Seahawks Super Fan Wilson The 12th Pony, Sarah is also the owner of Dreamland Ponies, which is an elite and professional entertainment company that provides beautiful ponies for parties, events, therapy, weddings and more (all with ponies Sarah personally rescued). In addition to owning two businesses, Sarah is a motivational speaker, professional horse trainer, rider and instructor, farrier, welder, equine assisted therapy provider and photographer. She has an education in Veterinary Medicine and Fiber Optics. She is a single mother of three amazing boys (including one very special and wonderful child with autism). She is a two-time cancer survivor and a domestic violence survivor. Sarah is on a mission to help, heal, inspire, touch lives and bring joy and happiness to as many people as possible, while also making a positive and unforgettable impact on this world. She works with multiple nonprofits, charities, hospitals, nursing homes and schools, and gives back any way that she can.